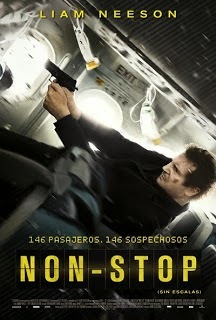 Reparto: Liam Neeson (Bill Marks), Julianne Moore (Jen Summers), Michelle Dockery (Nancy), Scoot McNairy, Nate Parker (Zach White), Quinn McColgan, Anson Mount (Jack Hammond), Michelle Dockery (Nancy), Bar Paly (Iris Marianne), Corey Stoll (Austin), Lupita Nyong'o (Gwen). Guión: John W. Richardson, Christopher Roach y Ryan Engle, basado en una historia de John W. Richardson y Christopher Roach. Producción: Susan Downey, Alex Heineman, Steve Richards, Andrew Rona y Joel Silver. Diseño de producción: Alec Hammond. Productoras: Silver Pictures y StudioCanal.